Jim Shore's haunting Jack Skellington welcomes guests to Halloween Town in this spooky scene inspired by the Tim Burton classic holiday film Nightmare Before Christmas. 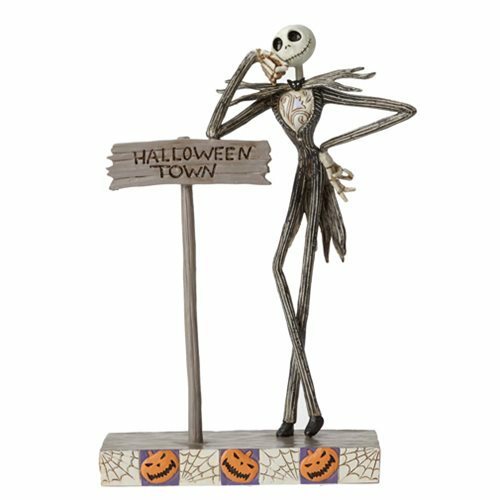 The Disney Traditions Nightmare Before Christmas Jack Skellington Statue is made of stone resin. Measures about 8-inches tall x 5 3/10-inches long x 2 1/3-inches wide. Ages 13 and up.